A holiday is Moraira is unlike anything you will experience in this lifetime. The sights, sounds, flavors and comfort of this tourist nucleus offer the perfect blend of a truly luxurious Spanish getaway. The pinnacle of any vacation is diverse and delightful à la carte menu that leaves you spoilt for choice. Eating out in Moraira is a pleasant nickel and dime affair that promises not to drill a hole through your wallet. Over time, tourism has levitated to become the backbone of this Costa Blanca town. As such, there is a long list of exquisite eateries each specialized in varieties of finger-licking delicacies. Rather than hit a brick wall every time you want to eat out, take some invaluable advice on how to find the best spots depending on your preferred cuisine. Spanish: A visit to Moraira is not complete until you sample the finest of local foods. 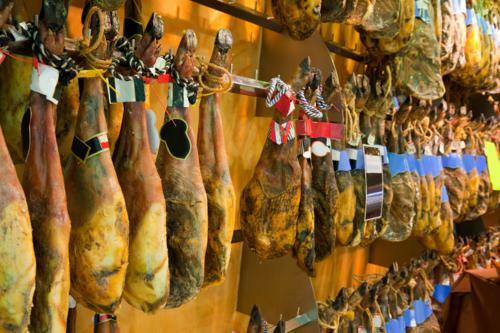 Most restaurants capitalize on treating their customers to a range of classic and contemporary Spanish culinary. Don't worry if you can't pronounce the names of the dishes right or remember them the next morning. 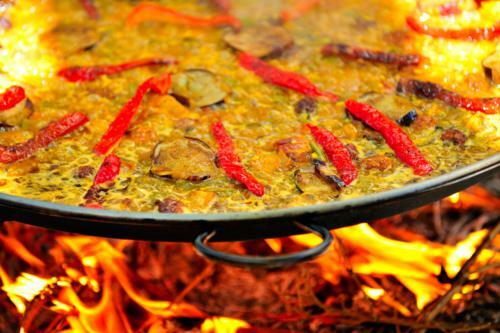 Among the most renowned choices is Paella; an age-old rice dish of Valencian descent. It is specially served with meats, vegetables and liberal helpings of spices. Preparation of this cuisine is regarded an art; so no need to throw a tantrum if there is a delay in service. To counter such hassles, many eateries offer a Menu del Dia (Menu of the day) that intertwines appetizers usually ollas or soups, main course, desert and drinks. Other specialities include fish chows, salads, and meat such a game, beef, lamb, duck among others. A few ideal restaurants for eating out in Moraira include Terra Vina, El Refugio, La Senieta, and El Chamizo just but to mention a handful. 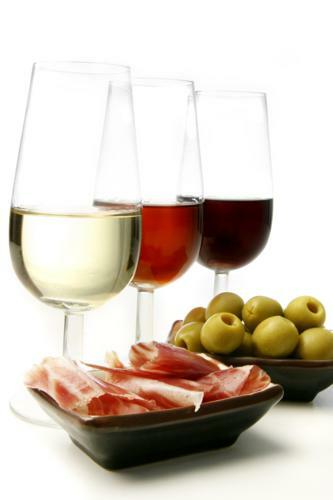 To wash down these Spanish delights is a flute of superb wine sourced from the expansive vineyards that encircle Moraira. International: Quite a few restaurants are also dedicated to versatile international culinary served in a serene environment for a comprehensive fairytale experience. Simply because you are in Spain does not mean you are restricted to a fixed carte du jour. Savor the diverse array of exceptional flavors from all around the world all at bargain prices, reasonable helpings, and creative preparations suited for any preference or budget. La Luna, Ca Pepe, Olive Tree, Le Soleil and several others are some excellent choices for eating out in Moraira. Seafood: The excellent oceanfront orientation offers fresh catch-of-the-day and a subsequent low-priced menu. The extensive range of cooking techniques and pleasant services guarantee some of the best dining finesse Spain has to offer. 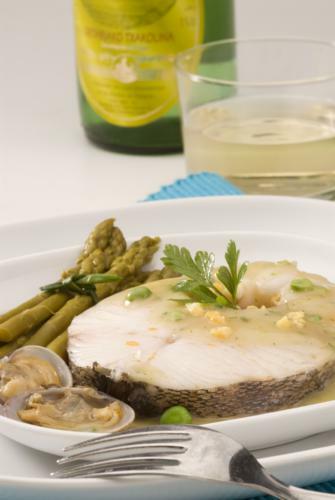 From sea bass to squid, eel, lobster, and prawns, the end result will simply melt your mouth. Dishes such as À la plancha, Pulchero de Pulpo, Sopa de Pescado are as fancy and fantastic as they sound. Rather than simply sprawl the food on the fire and wait for magic, an authentic Spanish preparation takes time and precision to details. Although numerous restaurants serve fish and other seafood, several Japanese and Chinese places are also ideal; when eating out in Moraira consider the Samurai, AOI Teppanyaki, Sol y Sombra among others. Chinese: A typical Chinese menu Spanish-style captures the true essence of the ethereal Cantonese cuisine. Most Chinese eateries are bending backwards to earn their customers' esteem and an inevitable comeback. From the traditional noodles and rice to prawns, spring rolls and soups, a classic cuisine will achieve an unforgettable synergy unlike anything you have ever tasted before. What's more; the prices are so reasonable that you will have a tip for the waiter or pocket change for a couple of complementary drinks. You do not have to master the geography of Moraira to find the perfect spots; Nihao, Ni Hao (incidentally there's a difference), Golden Bay are popular with locals and visitors alike. Other enchanting options include Indonesian, Mediterranean, Italian, Indian, Thai, British; the list is endless. When eating out in Moraira, be sure to sample as much as you possibly can and for as little as possible. You don't have to be a gourmet critic to know fine food; seduce your taste buds with exotic Spanish delicacies that pledge a delicious adventure.